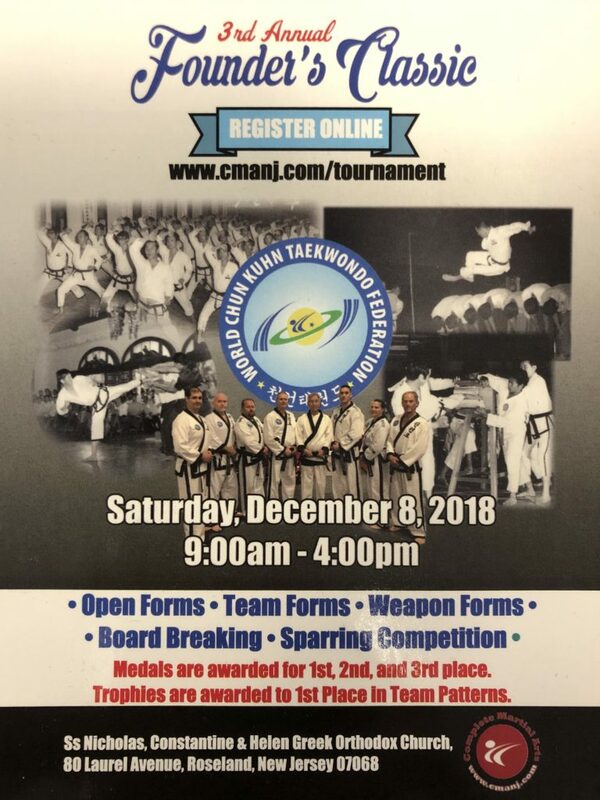 The World Chun Kuhn Taekwondo Federation presents…. General Admission: $10 per adult spectator, $5 per child spectator (12 and under), Children 3 and under are free. Equipment: Clean uniform, Belt, head gear, mouthpiece, gloves, shin pads & foot pads (or shin and instep pads), chest guard (optional), groin cup (men). Trophies will be awarded to 1st place Team Forms winners.